GLENN APARICIO PARRY Author of "Original Thinking: A Radical Revisioning of Time, Humanity and Nature." The book delves into the evolution of Western thought to recover the living roots of wisdom that can correct the imbalances in our modern worldview. 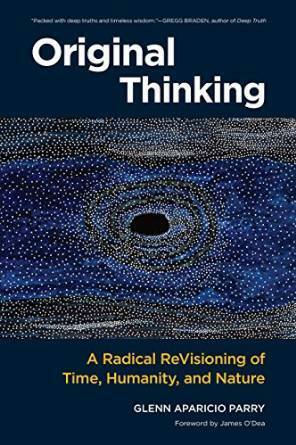 Inspired by groundbreaking dialogues that Parry organized between Native American elders and leading-edge Western scientists to explore the underlying principles of the cosmos, this book offers a radical revisioning of how we think. Asking questions such as, Is it possible to come up with an original thought?, What does it mean to be human?, and How has our thinking created our world today?, Parry challenges us to consider many of our most basic assumptions.